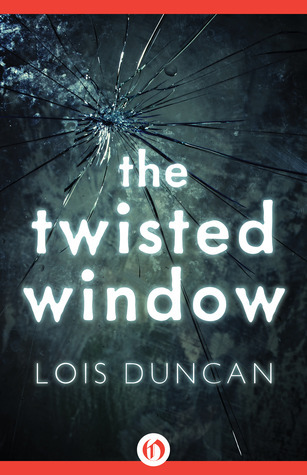 When I saw this book on NetGalley I was super excited because I remember reading books by Lois Duncan in middle school and high school. I had even read this book about 8 years ago, and I remember loving it. I decided to take this opportunity and re-read it. Boy, was I in for some blasts from the past. The re-marketing of this book was to make it more relevant to present times, which is why we have a cover change, and a few lines were added to the book to make it more in with nowadays. First thing I will be commenting on are the few cellphone references that appeared here and there, which overall made the novel feel weird. The novel was like a blast from the 80s from the way they talked, the way teenagers acted, and references that were mentioned through the novel, and those additional cellphone references were out of place. They didn’t belong in the story. Now, onto the plt. I was actually a little disappointed in myself. I remember loving this novel when I was so young but now… it didn’t have the same appeal and made me second guess my love not only for this novel, but other Lois Duncan novels too. The suspense was ok, but I was so preoccupied with how Tracy was behaving and her logic behind things that I was just baffled by it all. Overall, the novel is creepy, but not something I would read anymore. It isn’t the worse novel I’ve read, but it also isn’t the best.